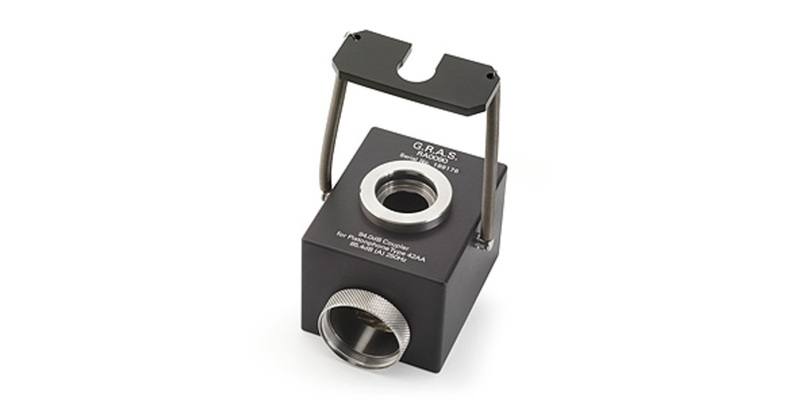 The GRAS RA0090 is a larger-volume coupler for enabling GRAS 42AA/AP Pistonphone to produce a sound pressure level of 94 dB instead of 114 dB re. 20 μPa. Essential when calibrating highly sensitive, GRAS low noise measuring systems. 1" diameter microphones fit directly. 1/2" microphones fit via an included adapter.